Expertly crafted and meticulously designed, our range of StyleLine windows and Doors set the standard for home improvement quality. We provide uPVC windows and doors produced using unique and leading techniques, offer highly innovative replacements to old windows or instalments to new builds. StyleLine windows and doors use modern materials to offer outstanding quality and performance. We use premium uPVC for our profiles to provide unique performance. A state-of-the-art Seamless Quad Welder from Graf Synergy is used to manufacture our windows and doors. This highly innovative method ensures high-quality finishing to the sash and outerframe. The revolutionary welding process completely eliminates the grooving stage, resulting in no loss of vinyl at the corner joint. We include a multi-point locking system with all windows and doors to enhance security, alongside key handles as standard. We offer incredible MACO locks and claw locks for boosted strength, which are enhanced with steel reinforcement and internal beading to ensure security is maintained throughout. The incredible weld strength of our windows and doors means you can count on high-security in your home. StyleLine Windows and doors are the ultimate secure choice. Our windows and doors achieve the British Standard Kitemark and Secured by Design standards. We use thermally-efficient uPVC in our doors and windows for comfort and warmth within your home. Their thermally-broken multi-chambered profile retains heat, eliminating draughts throughout your home. As a result, you will notice great savings on your energy bill. While your home stays warmer for longer, there is less need to have the heating on. This also helps reduce your carbon emissions. 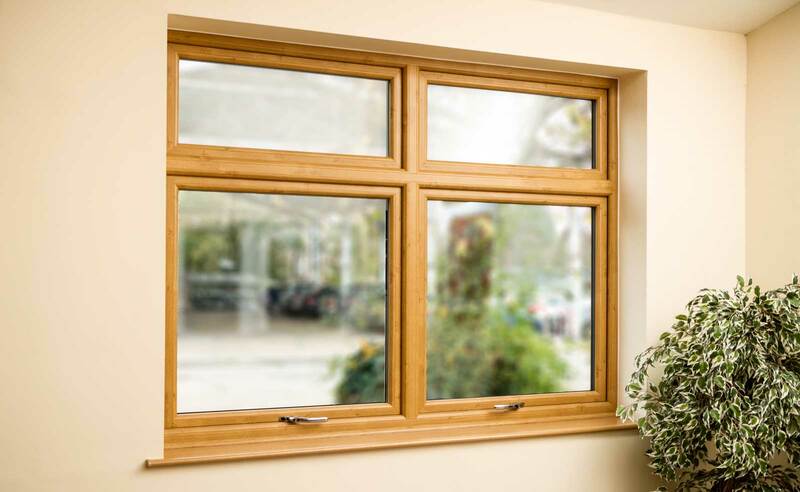 Our windows and doors are available in double and triple glazed options, which achieve Windows Energy Ratings ‘A’. We use a unique spacer bar, which allows inert gases such as Argon and Krypton to filter through between the glass panels, ensuring exceptional standards of thermal efficiency are achieved across the board. This means you’ll enjoy a warmer and more comfortable home with reduced energy use. Seamless sightlines – sash and frame. Cill traps dust for easy cleaning. We offer an exclusive variety of accessories to tailor your window and doors to your bespoke look. Our Georgian bars provide a distinctly recognisable image for your windows, which perfectly replicate timber windows of period homes whilst retaining modern performance. This means you’ll be able to enjoy the best of both the old and the new. We offer our accessories to all properties, including adaptable finishing features. We have authentic leaded glass and a complete selection of bevels and stains to achieve a custom look. Our accessories do not spoil any of the sleek design features, as they are fitted exquisitely by people who are trained professionals representing the incredible StyleLine products. Utilising modern manufacturing process for windows and doors, we are able to offer completely unique, high-performance products to our customers. The windows and doors we produce use high-end technologies to provide contemporary window and door solutions, which may be tailored to adapt to period building projects too. Our StyleLine windows and doors are independently leading the way forward with uPVC engineering, offering pioneering technology used in the welding process and innovative hardware and accessories. We also use a contemporary scheme of finishing paints to provide authentic, diverse style to each and every property. The craftsmanship that we put into every window and door is completely bespoke to us. The profile is precision-engineered using the latest technologies by simply the best in the trade. These windows and doors are an incredible product of hardwork and intelligent design, featuring unique processes in construction that other services cannot provide. We are proud to offer the entrepreneurial skills and products of StyleLine as a home improvement to all types of property, with their stunning aesthetics and high-performance. We offer exceptional quality that performs to optimal levels. You’ll be able to enjoy a warmer and safer home throughout the year, enjoy outstanding qualities that stretch far beyond a beautiful aesthetic. Our high-quality windows and doors feature seamless finishes to offer a truly professional look. The high-end manufacturing process that provides our finishes is responsible for the subtle design. We offer beautifully sleek profiles with sleek window sashes and outerframes, providing more natural light and ventilation to your home. StyleLine windows and doors are able to match any architecture, offering a seamless addition. You may customise the painted colours to the shape of the frame to complement any building project. We offer a truly seamless glazing service, allowing you to enjoy these outstanding benefits no matter your property style. 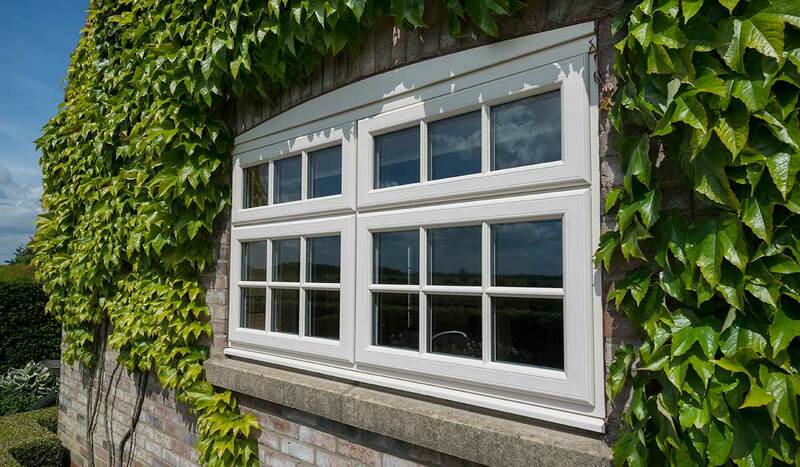 There is a seamless transition between old timber windows and uPVC, as we provide a quick, professional installation. You’ll be able to enjoy all the benefits of a professional, reliable and efficient service. We only offer the very best, meaning these windows and doors are sure to be the perfect addition to your property. The windows and doors that we offer utilise the very latest uPVC system. We then fit our products with the latest MACO multi-point locking system to provide extra security. The use of innovative techniques, as well as modern materials, ensures high-quality aesthetics and energy-efficient glazing that protects you from the cold. Protect yourself from adverse weather the stylish way. The manufacturing process of these windows is subject to stringent testing before and after production, which shows why StyleLine windows and doors and branded as such high-quality products. StyleLine were the first fabricator to apply state-of-the-art Seamless Quad Welder technology. Because of this, we are able to achieve the very best quality for our windows and doors. We offer highly-innovative windows and doors that have been manufactured using contemporary techniques. This means that they are fully in keeping with the demands of the modern homeowner, ensuring they offer the highest standards of thermal efficiency, security, durability and design available across the industry. There is no need to settle for less. Our collection of StyleLine windows and doors are available at extremely competitive prices. Visit our online quoting engine today to get a free, instant and competitive windows and doors quote. We’ll tailor your price to your exact specifications. Alternatively, our online contact form allows you to speak to a member of our team. We’ll be more than happy to help you with any questions and queries you have regarding these windows and doors, or any of our other services.